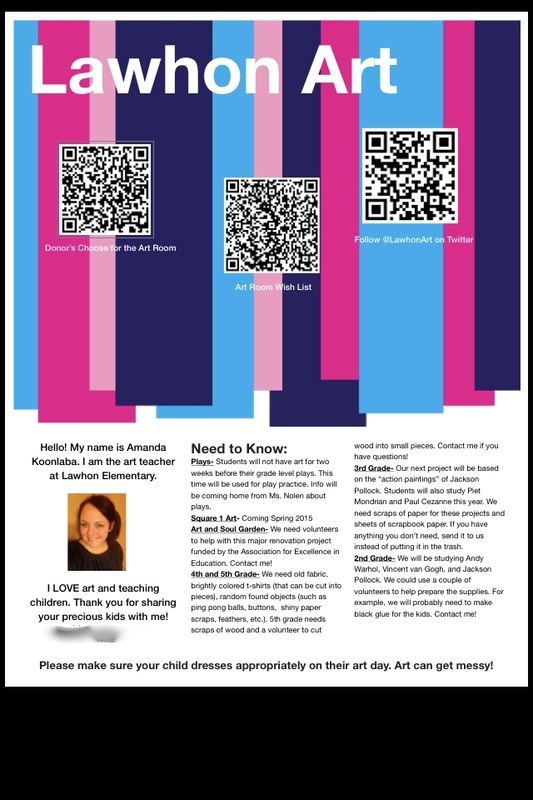 Here is a newsletter that I sent home several years ago, when QR codes were cool. I haven't sent a newsletter home in a couple of years. The other "specials" teachers at my school have been thinking about sending one home from all of us. My thought is that would help parents. One newsletter is better than five! Anyway, I thought I might share this one and ask you guys to share yours. I'm interested in ideas for newsletters. Hopefully, this will be something my team can be successful with this year! The blurry spot is where I marked out some contact information.